Development economics, inequality and poverty, economic theory and policy. Professor Foster received his Ph.D. in economics from Cornell University where he received the Selma Fine Goldsmith Award for his dissertation. 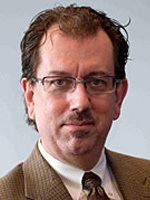 He held positions at the Krannert School of Management at Purdue University and Department of Economics at Vanderbilt before joining the Department of Economics at the George Washington University. He has been a visiting professor at the London School of Economics, Cornell, Essex, Oxford, Harvard, and the University of the Americas in Puebla, Mexico. He received the Unilever Fellowship (UK) and the Robert Wood Johnson Investigator Award in Health Policy, and holds a Doctorate Honoris Causa, from Universidad Autonoma del Estado de Hidalgo (Mexico). Professor Foster's research focuses on welfare economics -- using economic tools to evaluate the well-being of people. His joint 1984 Econometrica paper is one of the most cited papers on poverty; it introduced the FGT Index, which has been used in thousands of studies and was the basis for targeting the Progresa/Oportunidades program in Mexico. Other work includes a book project on economic inequality with Nobel Laureate Amartya Sen; a paper on poverty and growth in a recent issue of the International Economic Review with Miguel Szekely, Undersecretary of Education in Mexico; a paper measuring multidimensional poverty with Sabina Alkire, Director of Oxford's Poverty and Human Development Initiative; and research on inequality in human development in Latin America with Luis Felipe Lopez Calva, Chief Economist, UNDP, Latin America and the Caribbean. Professor Foster recently visited Harvard University where he co-taught a doctoral seminar on Welfare Economics with Professor Sen.